Here is an Aussie Shiraz (60%), with Grenache, Mataro (also known as Mourvèdre), and a splash of Viognier blended in. It was made at Henschke in honour of Henry Evans who planted the first vineyard there in 1853. I can’t imagine what it must have been like in the Australian outback in the 1850s, but I’m sure things have changed somewhat since then. On the eyes, it’s a deep ruby with a superbly fragrant nose of violets with deep plum, great minerality and some sweet straw. On the palate, it’s dry with more plum, blackberry, and black cherry, light licorice and dried grass, and distinct Chinese five spice powder. WSET Very Good – elegant, aromatic and delicious – pair with chili, tacos, steak or anything that you want your wine to stand up to. This beauty can more than handle it. Purchased at Seattle’s Total Wine and More. 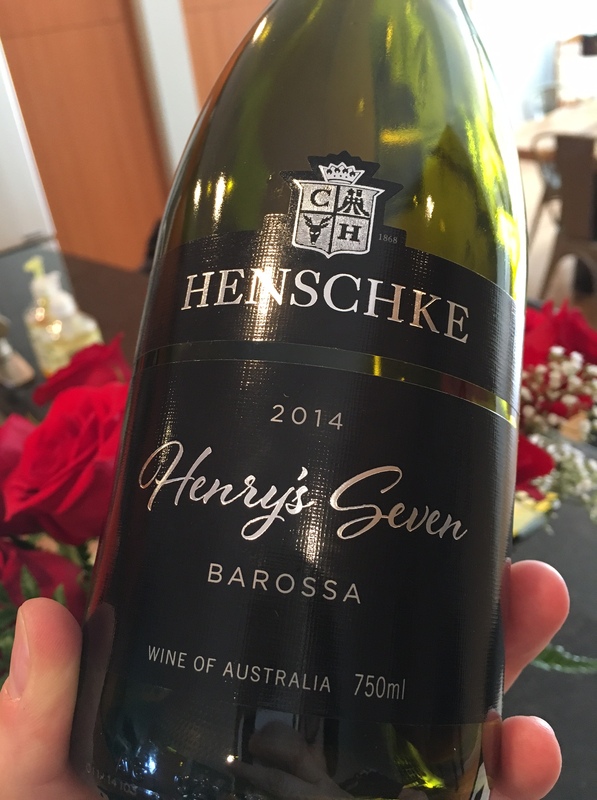 This entry was posted in Australia, Grenache / Garnacha, Mouvedre, Monastrell, RED, Shiraz / Syrah and tagged 14% abv, 2014, Barossa, GSM, Henry's Seven, Henschke, red wine, South Australia. Bookmark the permalink.